Our guide to Washington will help you find the best frozen yogurt shops in Washington District of Columbia. There are tons of great frozen yogurt shops in the city of Washington, our city guide will help you find the best frozen yogurt shops. You may have a hard time deciding what to do in Washington, but we make your decision easy. 1709 Connecticut Ave NW, (202) 558-6852 - Dupont Frozen Yogurt is a frozen yogurt shop located in Washington DC. 1829 M St NW, (202) 659-2895 - Naturally Yogurt is a frozen yogurt shop located in Washington DC. 2029 P St NW, (202) 822-2066 - Tangysweet is a frozen yogurt shop located in Washington DC. 2473 18th St NW, (202) 234-0330 - Cali Yogurt is a frozen yogurt shop located in Washington DC. 3001 M St NW, (202) 338-2333 - Ice Berry is a frozen yogurt shop located in Washington DC. 3333 M St NW, (202) 337-9338 - Sweetgreen is a frozen yogurt shop located in Washington DC. 3515 Connecticut Ave NW, (202) 362-9644 - Yogiberry is a frozen yogurt shop located in Washington DC. 675 E St NW, (202) 347-7893 - Tangysweet is a frozen yogurt shop located in Washington DC. 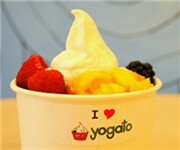 800 K St NW, (202) 289-3880 - What's Your Yogurt is a frozen yogurt shop located in Washington DC. 825 14th St NW, (202) 289-0078 - Yogen Früz provides delicious and nutritious frozen desserts, just what you need to live a healthy and active lifestyle. There are plenty more frozen yogurt shops in Washington. See all frozen yogurt shops in Washington District of Columbia.